With most of the promotion-chasing teams picking up 3 points today the race for one of the top 6 spots is really hotting up. With Sheffield United, Norwich and Leeds a few points clear at the top, the playoff places look to be where the main competition is at. With 5th down to 11th all within 7 points of each other, the battle really looks to be hotting up. Villa’s stunning comeback last night encapsulated the determination from all these clubs to keep progressing. Being 3-0 down at 82 minutes Villa looked dead and buried which would have seen Sheffield United move up into the automatic promotion places. Villa, however, showed character and composure, scoring in the 82nd, 86th and 94th minutes to complete the astonishing turnaround. 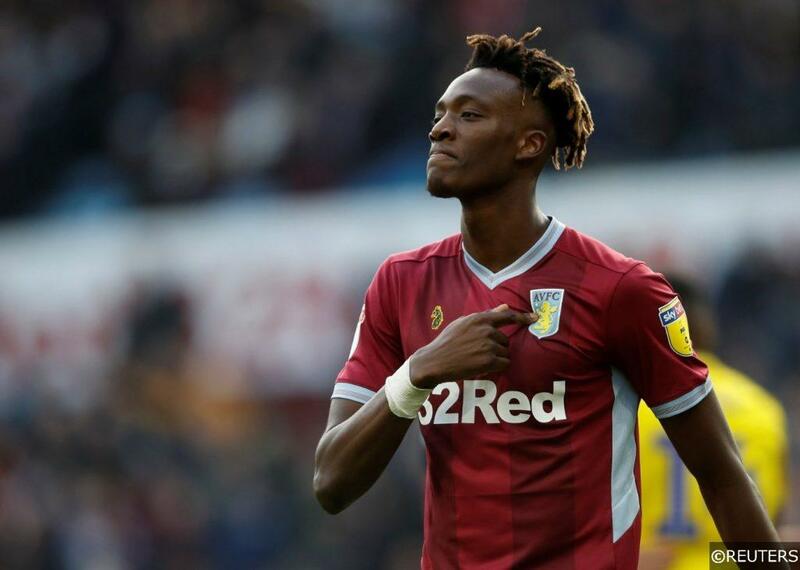 A point would not have been what Villa were after as the free-scoring side have now won only 1 in their last 7 leagues games but managed 5 draws in this time. Turning 1 point into 3 appears to be Villa’s biggest problem but they’re going to need to start doing so soon if they want to make that promotion push. The next period of games will really shape their season as they face 5 of the 9 teams ahead of them, in their next 7 fixtures. Villa can be found at 11/4 with bet365 to finish top 6, however with current form and upcoming fixtures it could be said there is better value elsewhere. The value could be found in the other side of the city. Birmingham City have surprised many with their league position and have moved to 8th after a hard-fought victory at Loftus Road today. The Blues were 4-0 up after 42 minutes but a second-half collapse saw QPR recover to 4-3. A 92nd minute penalty from Nahki Wells could have completed a comeback, similar to Aston Villa’s the night before, but Lee Camp turned hero by keeping it out. Birmingham’s playoff hopes lie in the hands of goal machine Che Adams, who scored 3 today taking his total to 19 goals this term. If they can keep him fit and firing, they could certainly make a push for the playoffs. With a visit from strugglers Bolton next, Gary Monk’s side will hope to take another 3 points and keep some momentum going. The value appears in Birmingham as they are 5/1 with Betfair to seal a top 6 position, given their upcoming fixtures they could be one to keep your eyes on. Frank Lampard’s first season of management is proving to be a successful one. The youthful Rams side are sitting pretty in 7th place on 50 points, joint with fellow rivals Bristol City. Another comfortable win today against a Hull side who have been scoring well of late showed promotion intentions. Lampard’s men have won 2 of their last 3 in the league and will be hoping to continue this little run midweek against bottom side Ipswich, as they are 3 points they really should take home. One thing Derby do have to contend with, which some the sides around them at the moment don’t, is an FA cup last 16 fixture. Derby make the trip to Premier League side Brighton next weekend, and the additional fixture which may take the legs out of some players. Derby will be delighted at the opportunity to progress in the cup, but could it prove costly to their promotion hopes? At the moment Derby are at 8/11 with Paddy Power to establish a top 6 finish and appear good value at that. Another side who do have the FA Cup to contend with are Bristol City. A hard fought 1-0 victory away to Blackburn helped the Robins to an 8th consecutive win in all competitions and maintain their 6th position. This form shows real playoff aspirations and they will be hoping it can carry on through a series of tough fixtures. After a visit from QPR midweek, they welcome Wolves to Ashton Gate in the FA Cup and as shown in recent performances this is a more than winnable game. The additional fixture could cause fatigue across the camp but in this case they are on a level playing field with Derby. Norwich, Birmingham and Leeds all await in the following 4 fixtures, so to continue their winning streak through this will be impressive, but achievable. This form has helped them find odds of 13/10 with Betfair to finish in the top 6, more favoured than the star-studded Aston Villa. Nottingham Forest certainly deserve a mention too. Currently sitting above Villa in the table their chances of a top 6 finish are possible. Recent form has not suggested this is anywhere near certain, with just 3 wins in their last 7 but hopes are alive. Forest will need to step it up in the coming weeks with a trip to West Brom next and a visit from Derby incoming. Their odds of 8/1 with Paddy Power to finish top 6 probably reflect the likelihood of this happening, but football is a funny old game so this is an outsider to consider. It must be worth mentioning West Brom and Middlesbrough. Odds of 2/9 and 4/11 respectively suggest a top 6 finish for both of these teams will be comfortable, but there are plenty of points still up for grabs so this may not be the case. West Brom have only managed 2 wins in their last 5 league fixtures so they’re not by any means in scintillating form. In contrast to this Boro have won 4 in the last 6 league games showing good promise for the playoffs. Let us know in the comments who you think is the best value for the promotion places and who you think misses out. Categories: Blog and Football. Tags: Aston Villa, birmingham, bristol city, championship, Che adams, Middlesborough, Nottingham Forest, playoffs, top 6, and West Brom. Team Tag: Birmingham City, bristol city, Derby County, Nottingham forest, Villa, and West Bromwich Albion. League: England Championship and FA Cup. Sports: Football.